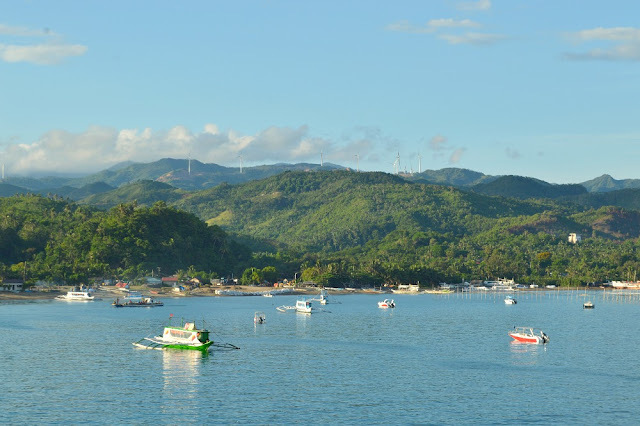 I can consider Panay as one of the most beautiful places in the Philippines as this huge island simply has everything ranging from towering mountains, beautiful beaches, and delicious delicacies to colorful festivities. I happened to go on a travel that went rogue where I decided to go on circles in this ginormous island on a DIY trip. 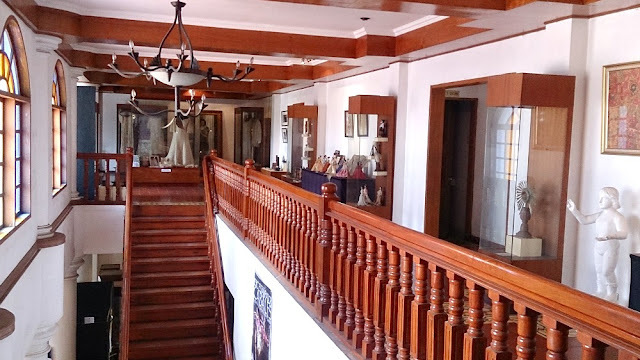 This little jaunt gave me the satisfaction to visit and experience the Panay cultures. Each step, each jeepney ride and bus ride, took us to unexpected places that were not actually part of our plan. 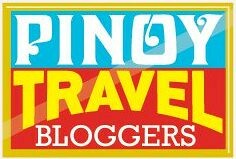 So here is the list of places and experiences we bumped in the beautiful island of Panay. I have sworn before that Boracay would be the last on my list of places to be visited on my quest to travel the entire Philippines. But fate is just unpredictable and Boracay was simply unavoidable as my entry point to Panay was in Caticlan via 2Go Shipping Line. 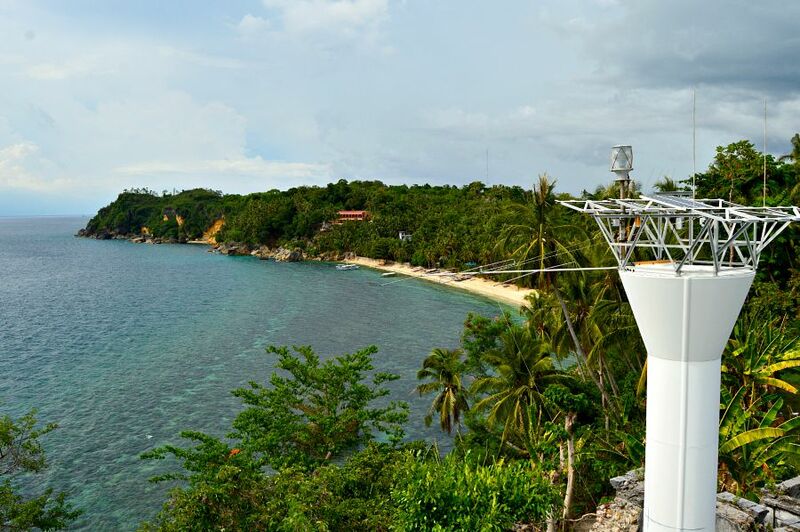 Well, why waste time and opportunity to step into the world’s most sensationalized tourist destination in the Philippines. I could say Boracay used to be beautiful at the time when this place was not converted into a commercial hell. My stay only lasted less than 24 hours and decided to move forward to another exciting place. From Boracay, we took a bus bound for Kalibo for a stop over. As I’ve read from various sites, this place is the root of all festivities in the Philippines courtesy of the Ati people or the Ati-Atihan Festival. Though it was off season and the city just look ordinary on these days. 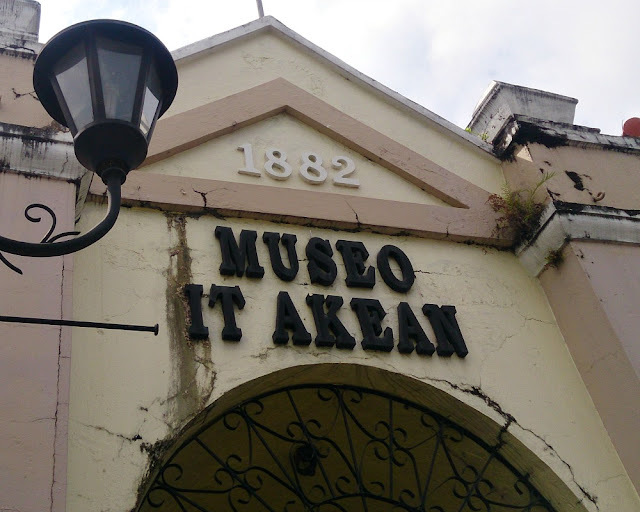 To make sure we at least did something in this ancient town, we scooped into a private museum just across the town's Catholic church. By just a glance on the exhibit, I have almost felt being part of the vibrant festivity in Kalibo. Marvelous festivity, adorable culture, colorful! We reached Capiz after an hour of bus ride coming from Kalibo and decided to spend the night here. Glad that I found The Roxas President's Inn through referral by a friend. 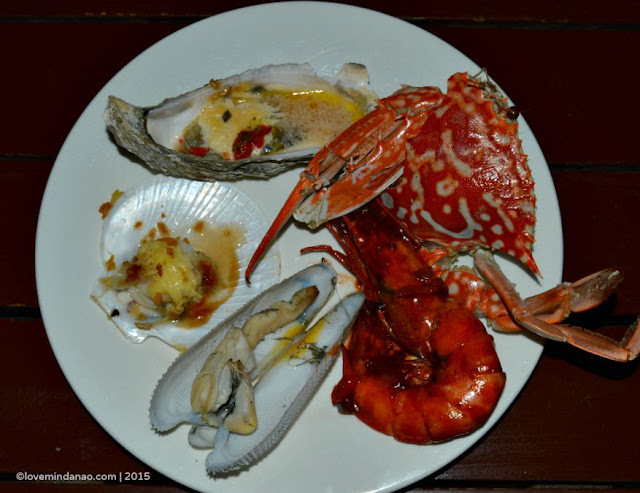 Roxas City is the capital of Capiz, and is famous for its seafood so we assessed one restaurant, The Coco Veranda, using the meticulous taste bud test. It was delectably more that average people. Love it! 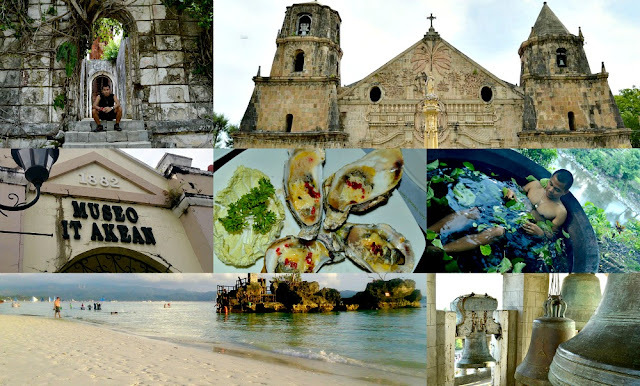 The Panay Church (Sta. Monica) is also a gem of Capiz that you shouldn’t miss. Why? 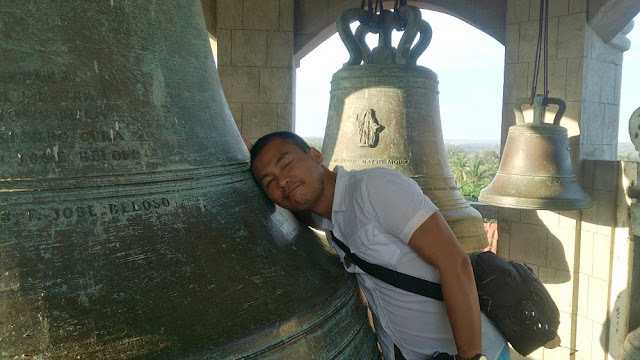 It holds the record of having the biggest church bell in Asia. Truly massive! Finally I have set foot in the land of the Ilonggos. Ohhh, where is the Batchoy? Opps! I didn’t get the original from La Paz but Vincent treated us at Ted’s, still yummy though. 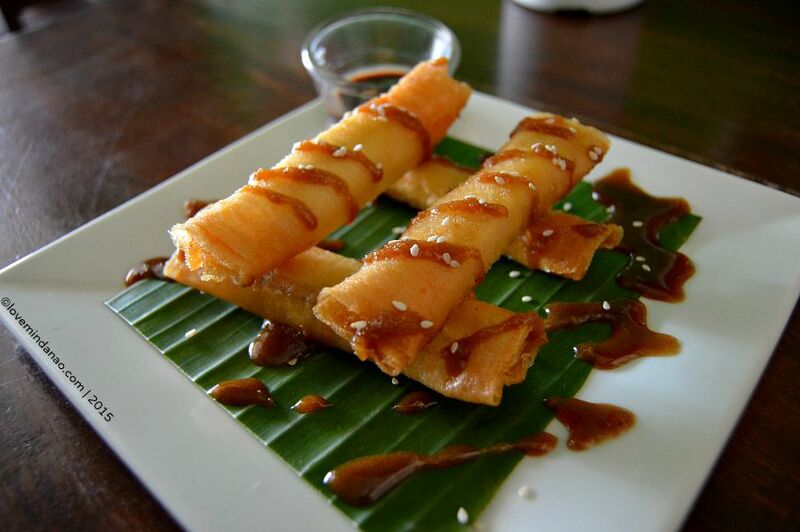 To compensate on that, he took us to Café Panay where I was caught off-guard with the tasty delight known as the Fried Ibos with a twist paired with chilled coffee. This is the best dessert I had so far. Aside from the grand and panoramic view of its seascape, the sweet mango was my motivation visiting the minute province of Guimaras. Even the torrential rain was not able to stop our escapade to the old lighthouse found in Guisi Point. 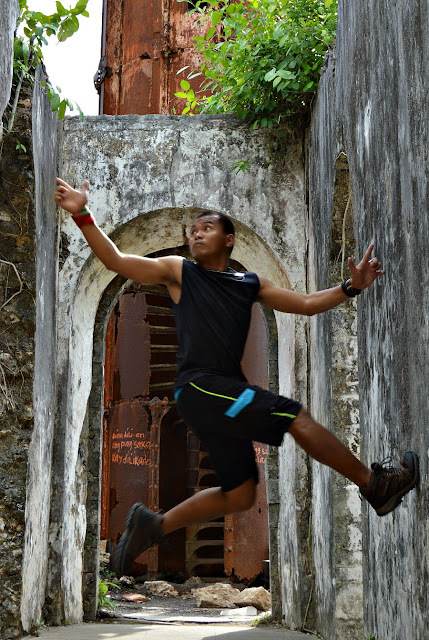 The ruins were like a perfect backdrop for a Tom Raider like photo shoot and I did not waste the opportunity to showcase my parkour moves and bouncing endlessly on the walls. I think you got the idea. From Jaro Iloilo, we braved the road to Leon to reach the newest tourist destination in the province. 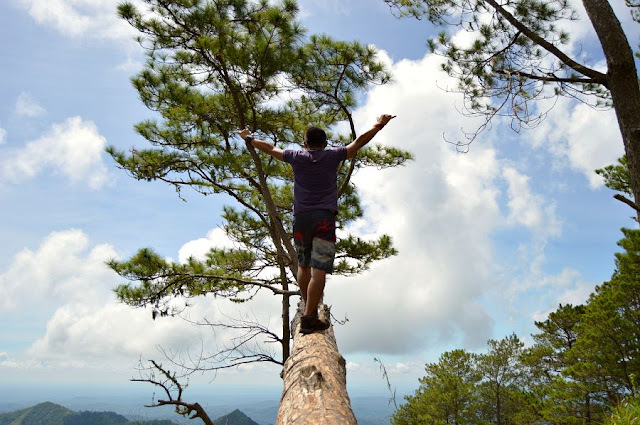 They call it the Baguio of Panay due to its cool climate and pine-like trees known as Agoho (Casuarina) growing abundantly everywhere. Curiously we trekked the hillside leading to the Mansiga Viewing Deck. It was heaven at the peak witnessing the rolling hills and vast green field of Leon, Iloilo. The peak had been our playground for various tricks and photo shoot activities. It was fun, relaxing and exhilarating. This was the most memorable part of our adventure. 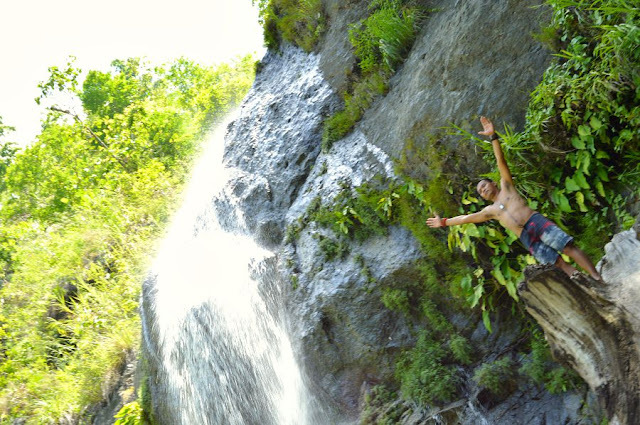 A local told us that there’s a nearby waterfalls from Bucari and one will take not more than 30 minutes to reach the “majestic falls”. Yeah right! We were already rolling down on hundreds of hills for 2 hours before we reach Sitio Camandag. The locals received us and one guided us to Imoy Falls and Nibudwan Falls. The latter impressed me with its cascading water of more than 30 feet drop. I could only wish to stay longer but after time was short that we have to go back to Bucari where our transportation back to the lowland awaits. Coming from Molo, Iloilo, it took us more than 3 hours getting to Tibiao, Antique. We were excited and can’t wait to see what Bryg. Importante can offer to us. 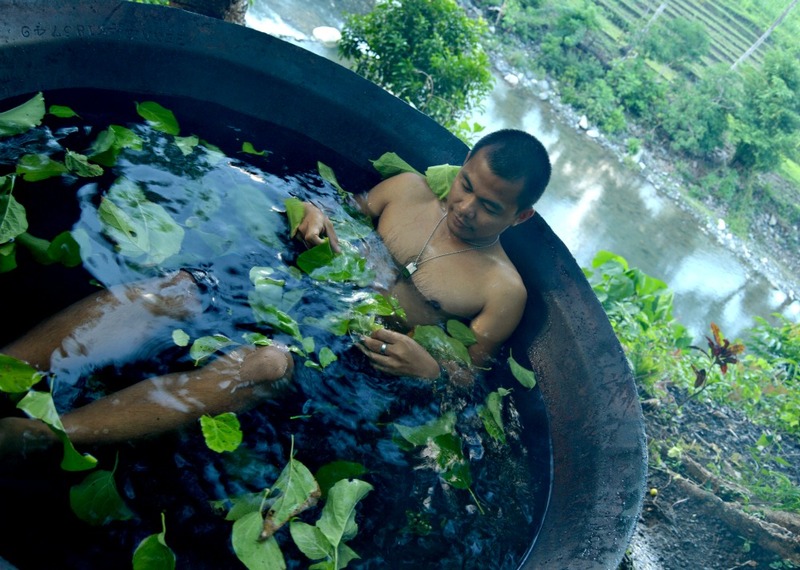 For a fee of P500, we experienced the Kawa Hot Bath where guests will sit on a giant water filled-wok sprinkled with camphor-like-smelling leaves and put a live fire under it. Insane huh? 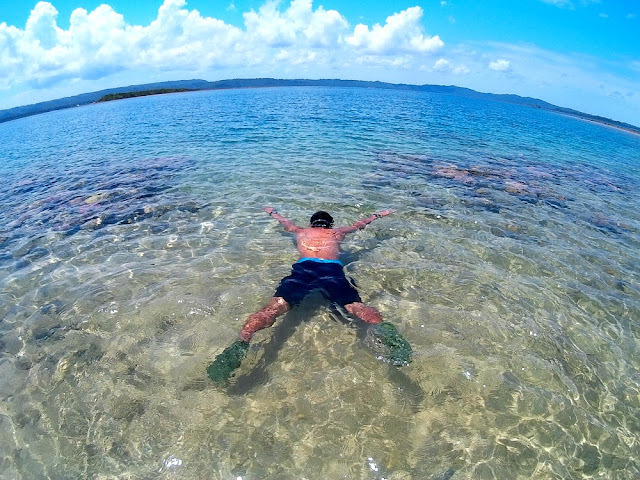 As the water becomes warm, the bathing becomes more therapeutic and relaxing. I was overhauled spiritually and physically by just staying soaking wet inside the wok. This place has almost nothing but pure nature. No TV, no Internet or anything that would remind me of human’s head cracking technology. 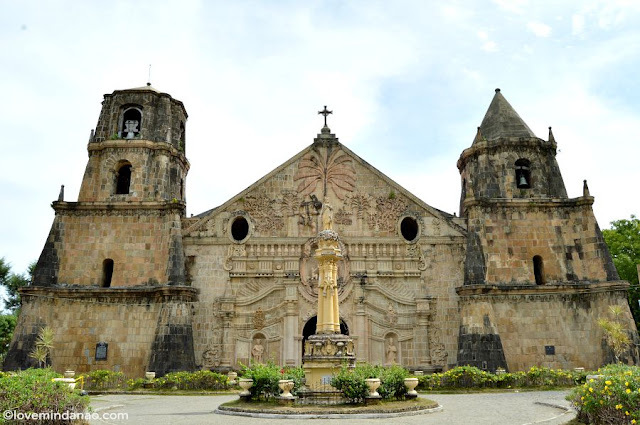 Another awesome experience was when we passed by Miag-ao Church, a UNESCO World Heritage Site and one of the remaining baroque churches in the Philippines. Its architecture is just unique that you will be wowed seeing the church up close. I couldn't hide my fascination with this heritage and so glad I have finally seen it with my own eyes.